Depending on the project you are working on Teak boards are usually suitable and capable of doing the job. Teak is an outstanding resource which is backed by its popularity for use in harsh environments where other timbers would be subject to movement and warping. Teak’s most popular use is for decking because it is durable enough to take the wear and tear of being in use every day. One of the main benefits of using teak is that regardless of the climate the wood won’t move much so your decking will last for a considerable amount of time. 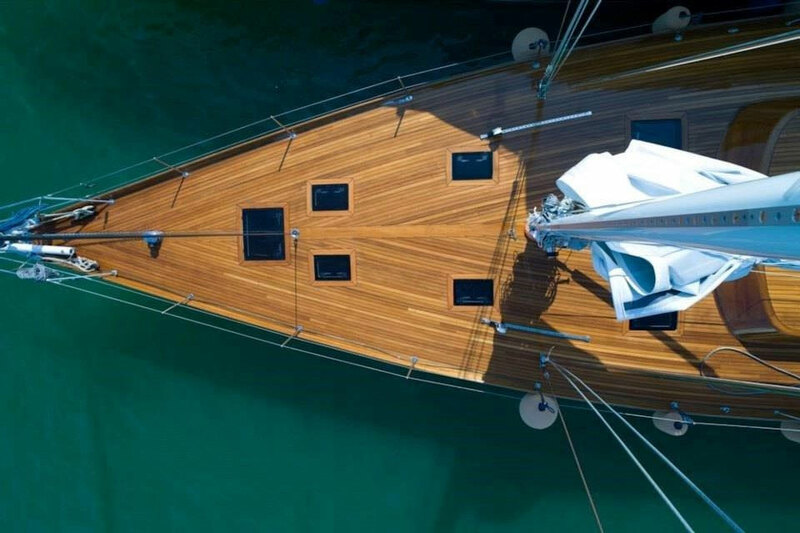 Another popular use for Teak decking is on boats. This is because the Teak boards require very little maintenance and they can withstand almost constantly being in contact with sea water. Also, because the softer ‘summer’ growth bands wear first, this creates a natural non-slip surface which can be handy when used in a marine environment. We can supply various reeded and anti-slip profiles of decking, so you can choose the profile which suits you. You can find our decking profiles in the timber knowledge section of our website. If you have any bespoke requirements we will be happy to take a look. Teak can be crafted into outdoor and indoor furniture, it’s easy to work with and glues well for best results. Any furniture made from this timber will be high quality and have a long lifespan. There are also many constructional uses for Teak and there have been whole palaces built using this wonderful timber. Currently one of the longest bridges in the world (the U-Bein) was made using Teak boards and it spans the width of the Tuang Tha Man Lake in Mandalay.